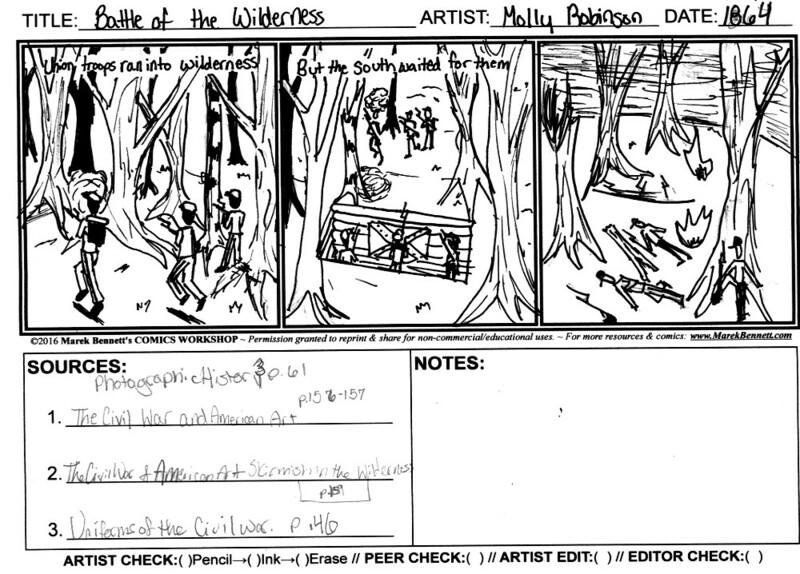 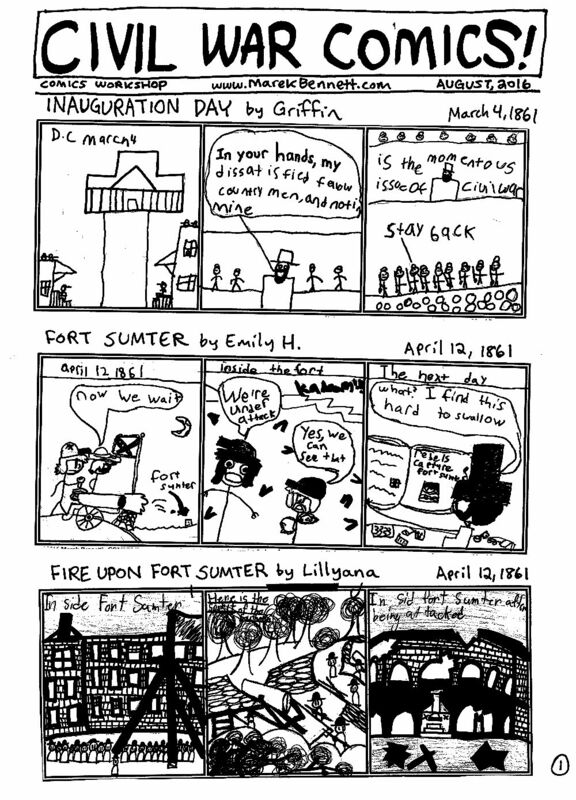 Basic Description: Middle school students research & draw original comics based on local Civil War era primary sources (diary entries, letters, photographs, songs, etc.). 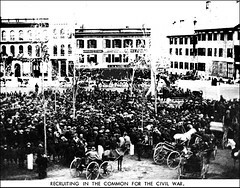 explore & discuss specific details, topics, & themes of local & national Civil War history. 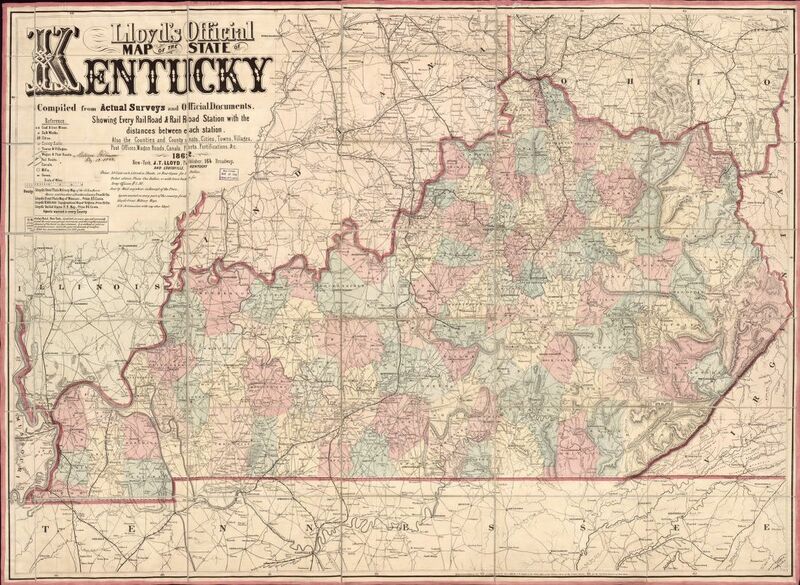 read & transcribe historical documents (for archiving online). 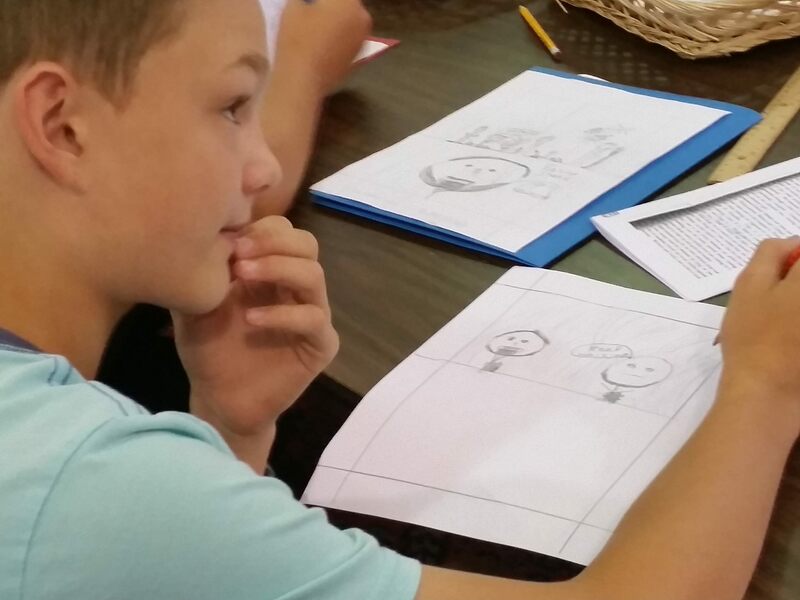 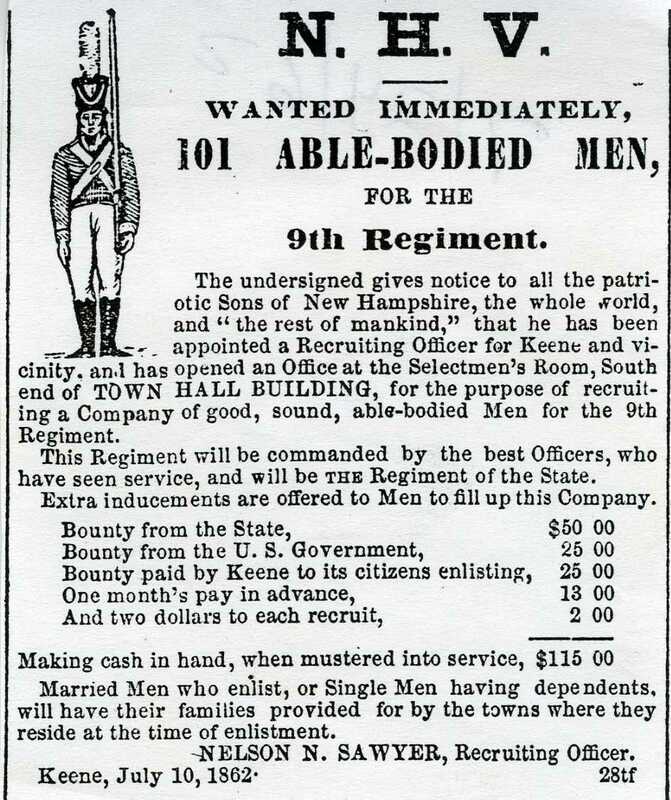 research & create original comics detailing the personal experiences of local participants in the Civil War. 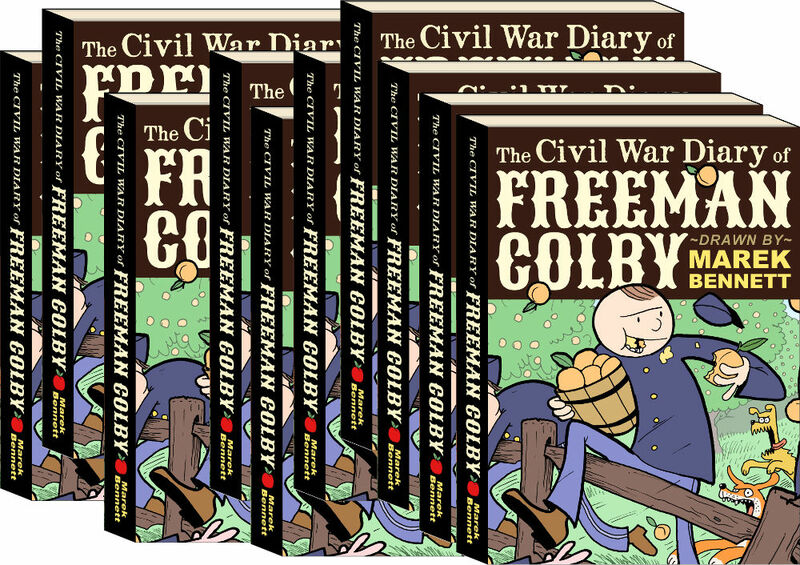 publish those comics in print & online for public readership. 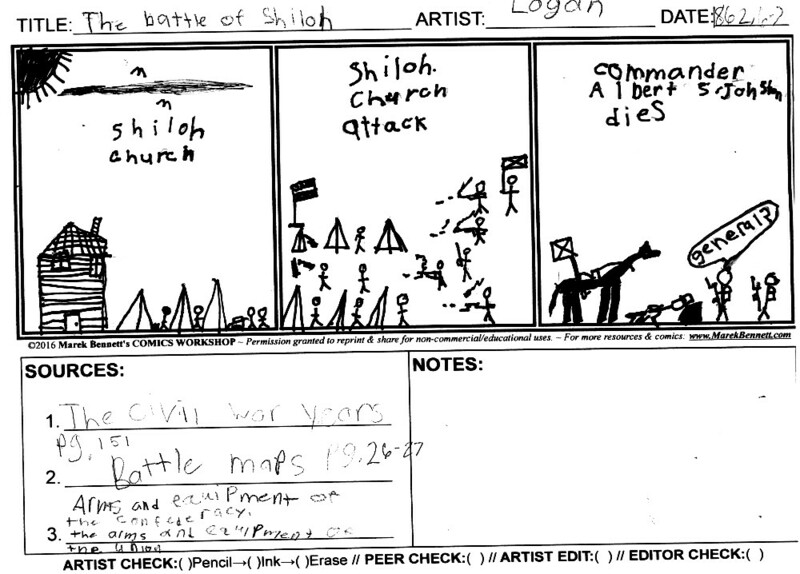 practice & perform Civil War era music on period instruments. 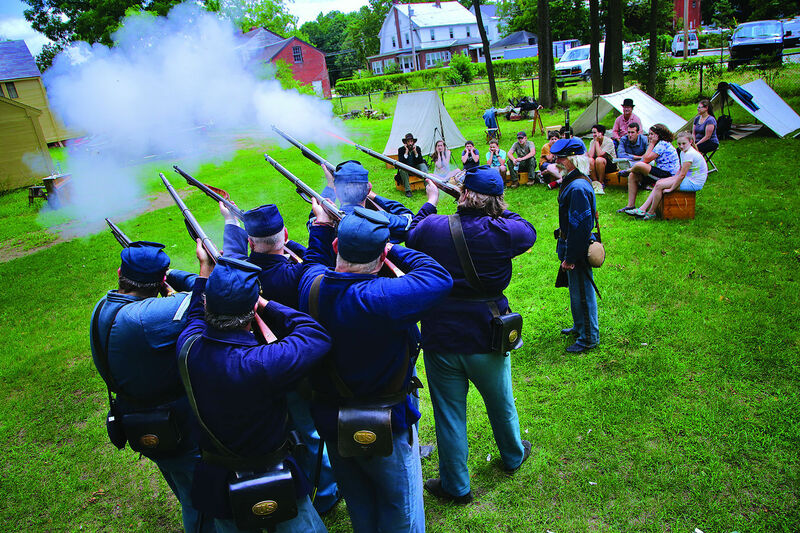 participate in a reenactment of a Civil War encampment (including performance of songs, drill practice, etc.). 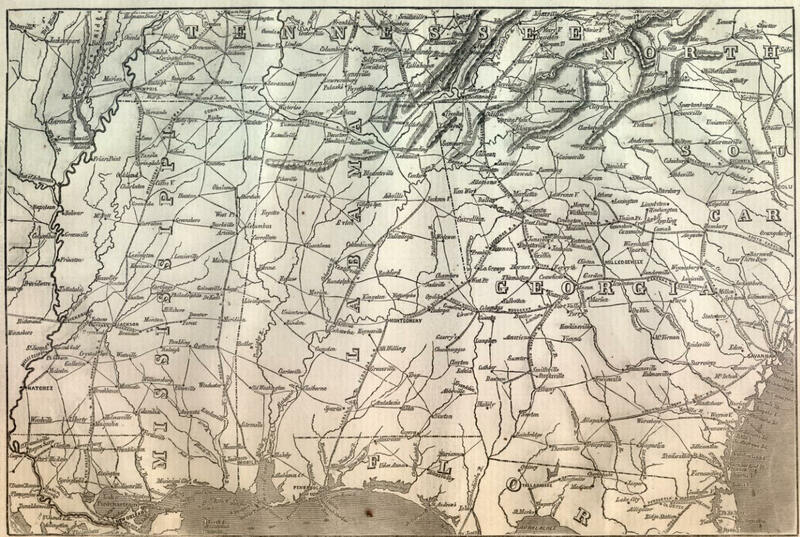 Students learn the basics of historical transcription, with attention to documentation, 19th century cursive handwriting, abbreviation, and other challenges. 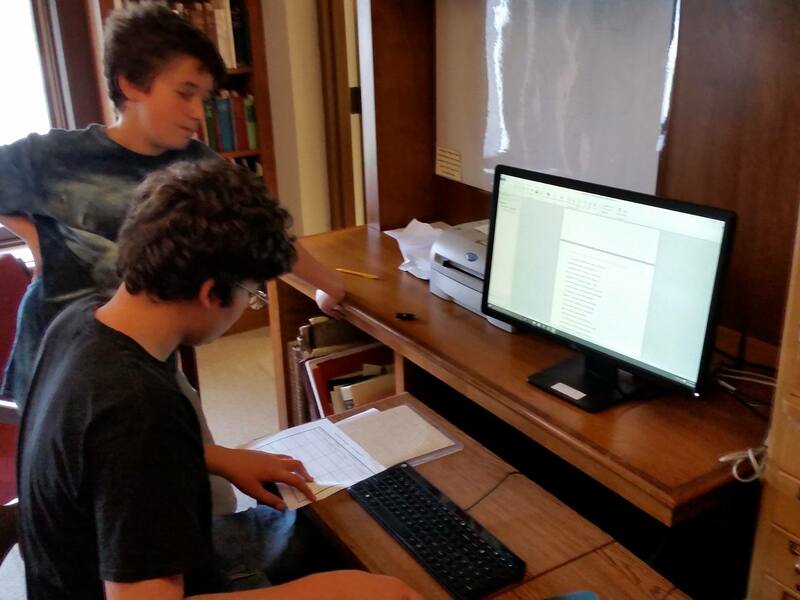 Students then try their hands at transcribing previously untranscribed materials (letters and diary entries). 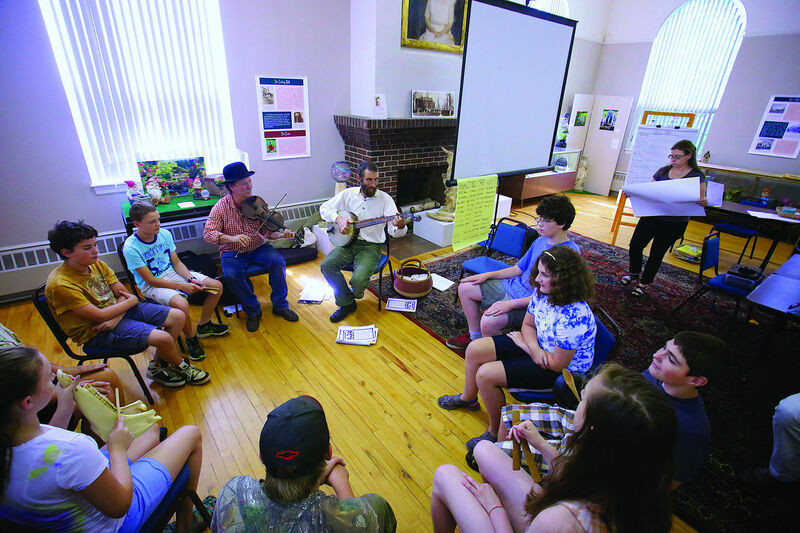 Students learn rally songs and tunes from the period and events described in the source materials, guided by the Civil War folk music group The Hardtacks. 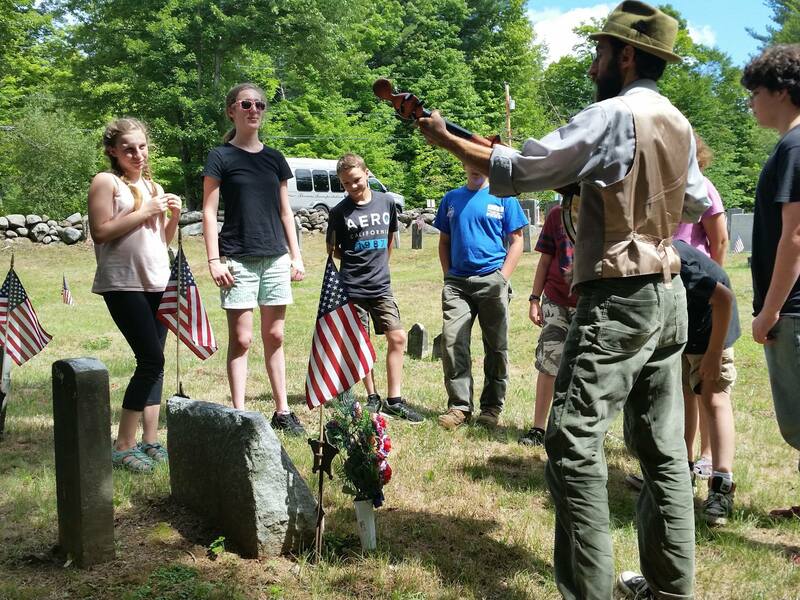 To provide more spatial context for our studies, students visit local sites of interest related to local Civil War history, sharing stories and singing songs at veterans’ gravesites and other memorials. 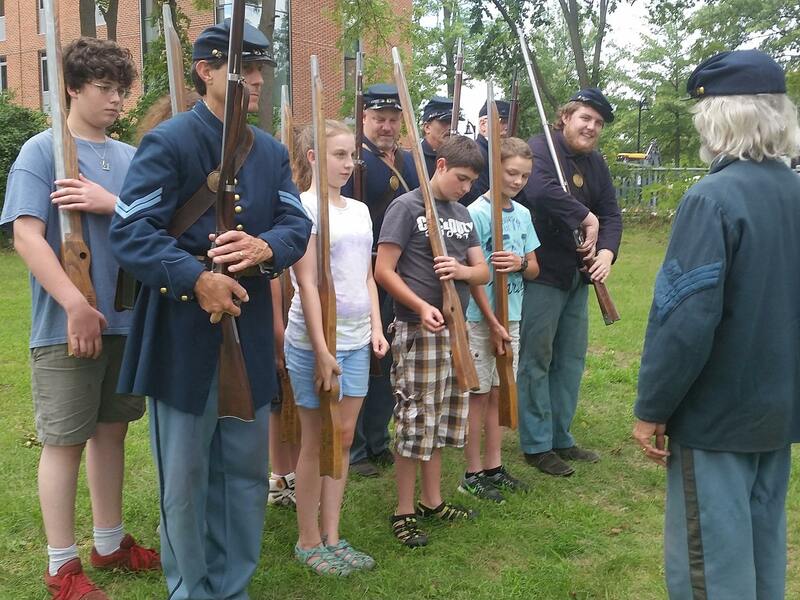 During an encampment by reenactors from the 6th NH Volunteers (Co. E), students have the opportunity to try out clothes, equipment, and camp activities, and to sketch specific scenes and actions in real life. 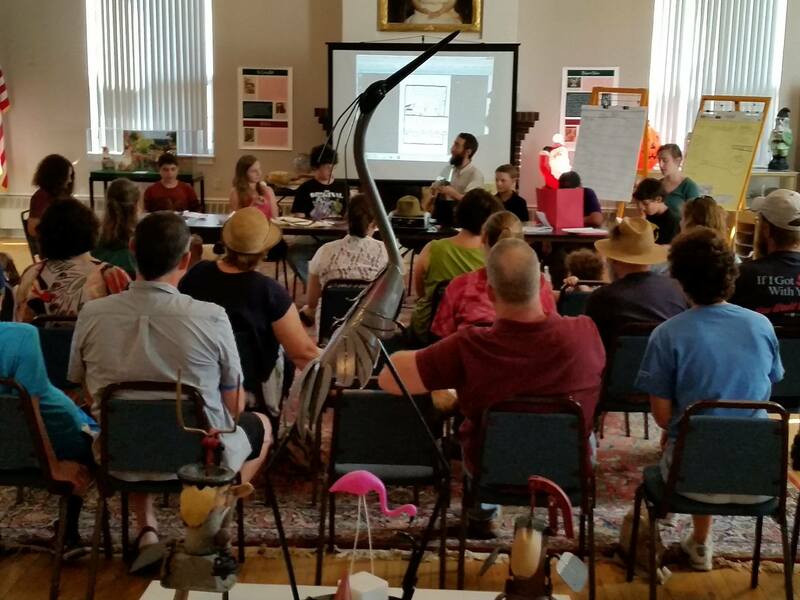 Students present their finished comics projects to family, friends, and community members in a culminating event featuring dramatic readings and performances of period songs on period instruments.